Eleanor Warden in Editor's Picks Food Lifestyle on 6 February, 2019. I was charged with making one of the main meals for the event, so I decided to undertake a Chicken Alfredo pasta recipe . 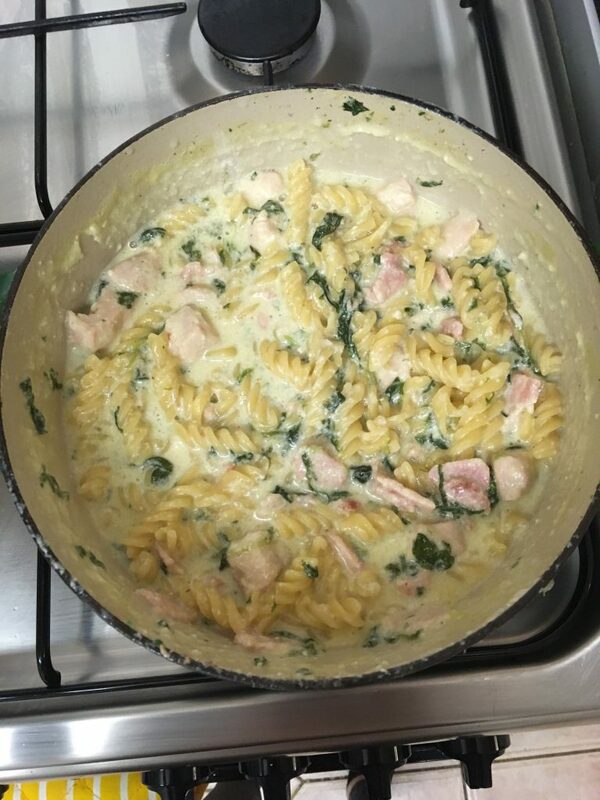 The main issue that I experienced when using the recipe was having to cook the pasta in milk instead of boiling water. By the time the milk had cooked the pasta, the milk had slightly split. So, you have to choose between undercooked pasta or a slightly gritty sauce… not ideal! This also requires a ridiculous volume of milk (over 2 pints for a 4-person portion). Other than that, my friends seemed to enjoy my meal (if they didn’t, then they were kind enough not to tell me) and I would probably cook it again. However, I would cook the pasta separately before adding it to avoid the milk issue. For the Chicken Alfredo recipe click here. 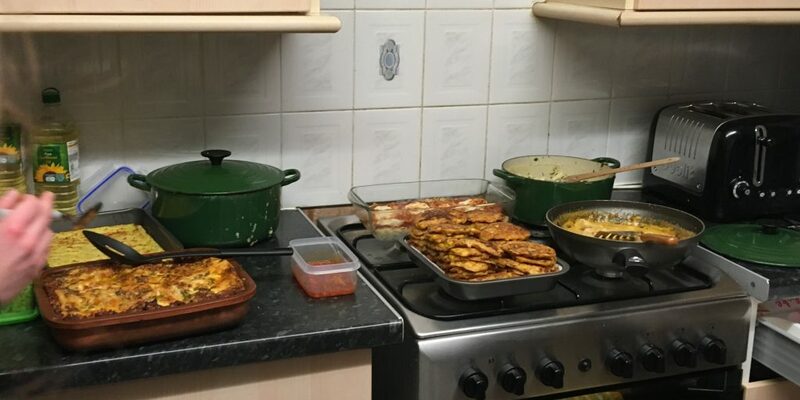 As our resident Jamie Oliver, Johnny had a lot to say about his lasagne recipe. He says that he made the ragu ‘almost exactly’ as the recipe stated. However, he omitted the butter, added pancetta, included a lot more red wine and beef stock, added a dash of whole milk and his secret is anchovies for that umami flavour. He refused to ‘follow’ the entire recipe as he says that he ‘has principles’ and couldn’t bring himself to put ricotta in the lasagne. Therefore, he made a more traditional béchamel sauce instead. The finished product was gorgeous and was eaten very quickly at the social. The extent to which Johnny’s lasagne resembled the recipe is doubtful… But it just shows that these recipes are easy to adapt and can provide inspiration for advanced cooks, rather than just providing them with an exact recipe. For the Lasagne Recipe click here. Corinne decided to make cheddar corn fritters and I can honestly say that they were stunning. When cooking them, Corinne said that she decided to add a chopped green chilli and extra chilli powder to give them more of a kick. She also recommends being prepared for an oil attack when you cook them, but other than that the recipe was easy and effective. For the Cheddar Corn Fritter Recipe click here. 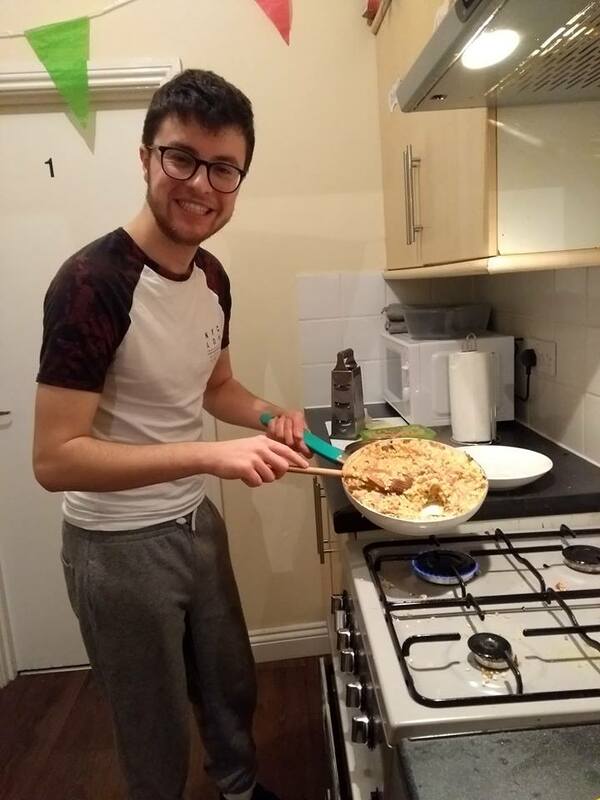 Oli provided our group with a sumptuous and comforting Bacon and Mushroom risotto. He loved the fact that the entire dish could be prepared in just one dish as he hates washing up. Oli also doesn’t play by the rules, so he didn’t follow any of the measurements (oooh), but says that the recipe seemed to turn out well. Molly made one of the sides for the social and they went down a treat! 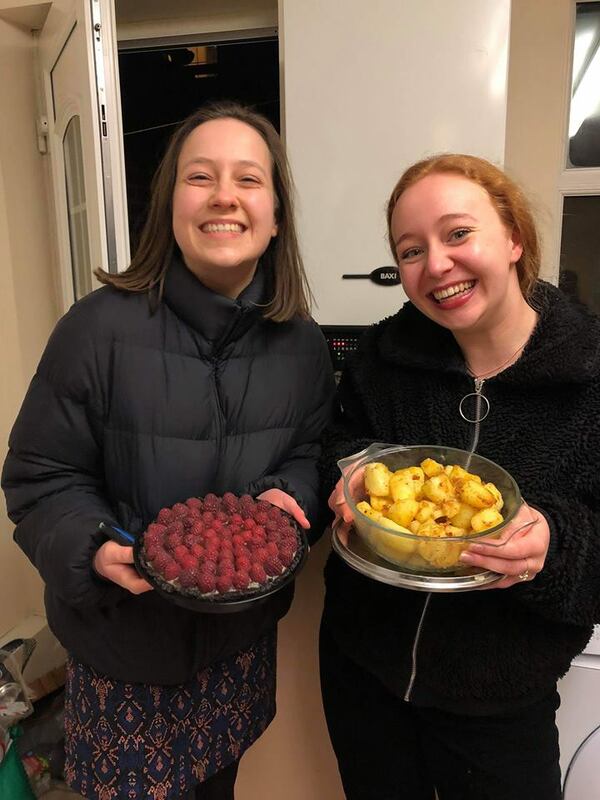 She says that the potatoes were incredibly easy to make, and they complemented a lot of the other dishes that people had provided that evening! She would recommend giving the recipe a go! Lottie was our dessert Queen for the social. We had high expectations and boy, did she deliver. The finished product looked incredible and tasted equally delicious. 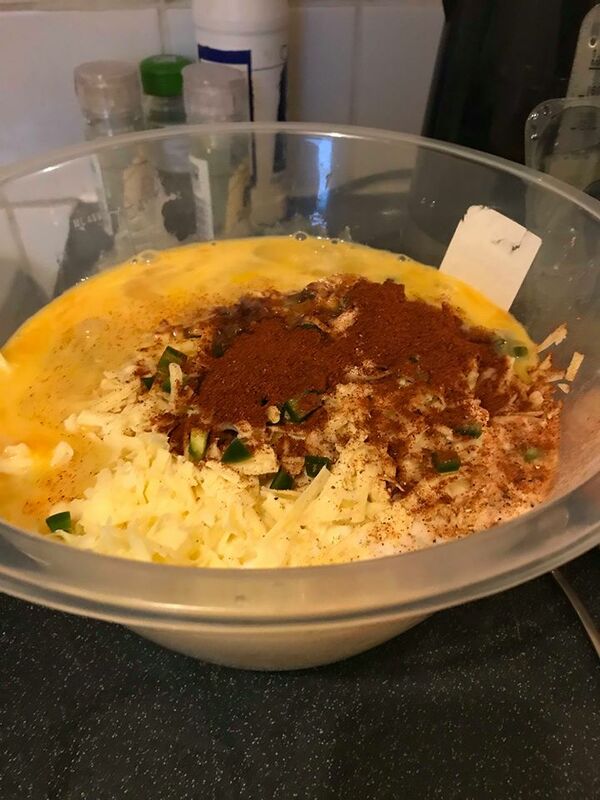 Lottie really enjoyed making this recipe and recommends that anyone who wants to give it a go shouldn’t be daunted by the prospect! For the chocolate and raspberry tart recipe click here . Overall, these recipes appear to be just as easy to make as they look in the videos. Apart from a few alterations, there is very little that needs changing about the majority of the recipes and all of us would make our respective recipes again. I will definitely be making more online recipes in the future!